» A World Heritage Site is a place (such as a building, city, complex, desert, forest, island, lake, monument, or mountain) that is listed by the United Nations Educational, Scientific and Cultural Organization (UNESCO) as being of special cultural or physical significance. 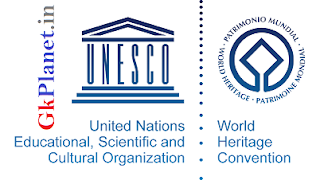 » UNESCO has 195 member states and its headquarter is located in Place de Fontenoy, Paris, in France. 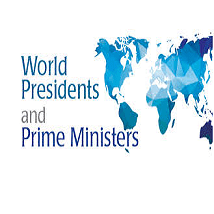 » The list is maintained by the international World Heritage Programme administered by the UNESCO World Heritage Committee, composed of 21 UNESCO member states which are elected by the General Assembly. » As of July 2016, 1052 sites are listed: 814 cultural, 203 natural, and 35 mixed properties, in 165 states parties. » According to the sites ranked by country, Italy is home to the greatest number of World Heritage Sites with 51 sites, followed by China (50), Spain (45), France(42), Germany (41), India (35) and Mexico (34). 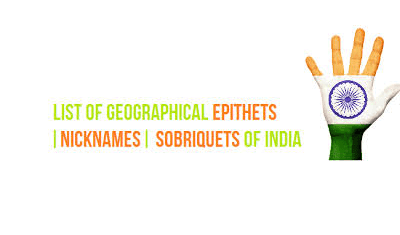 » As there are 35 (27 cultural and 7 natural sites and 1 mixed) World Heritage Sites in India that are recognised by the United Nations Educational, Scientific and Cultural Organization (UNESCO) as on July 2016. » India’s first two sites inscribed on the list at the Seventh Session of the World Heritage held in 1983 were the Agra Fort and the Ajanta Caves. » Over the years, 33 more sites have been inscribed, the latest being the three new sites - "Archaeological Site of Nalanda Mahavihara (Nalanda University)" at Nalanda, Bihar , "Capitol Building Complex - The Architectural Work of Le Corbusier" in Chandigarh and "Khangchendzonga National Park, Sikkim" have been added to the list in July, 2016. » Maharashtra has 4 World Heritage Sites which is the maximum in no by any other Indian states. » Khangchendzonga National Park (previously named Kanchenjunga National Park) also Kanchenjunga Biosphere Reserve is a National Park and a Biosphere reserve located in Sikkim, India. » It was inscribed to the UNESCO World Heritage Sites list on July 17, 2016, becoming the first "Mixed Heritage" site of India.